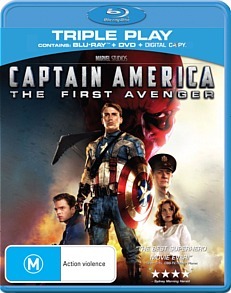 Captain America Super Soldier Blu-ray Review For a superhero film this is very good indeed, it seemed that Thor got all the attention this year but it was Captain America that deserved the praise, you want an Indiana Jones style adventure? Forget the Kingdom of the Crystal Skull. This is where it’s at. Captain America was never my favorite superhero. Far too obvious, far too patriotic, Far to one dimensional, he’s a literal superman except instead of embodying the Nazi ideal he fights for America and punches a lot of Nazis, including Hitler. He’s also been around since the 1941 and gone through a lot of changes but the story has always remained the same. Steve Rodgers a 10 pound weakling volunteers for a super soldier project where a secret serum turns him into the peak of physical perfection, he is the perfect human as strong as a human can be, as fast as a human can be, as smart as a human can be. He also carries an indestructible shield which he likes to throw at people. 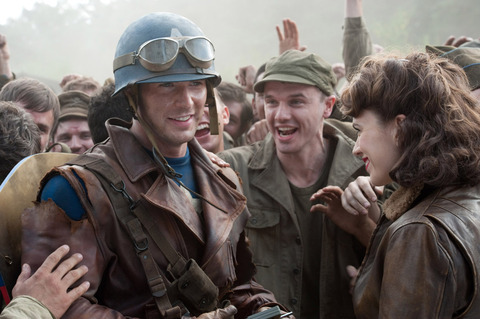 This movie doesn’t re-invent the wheel in this respect; the film stays fairly true to the accepted origin story as well as having nice nods to lots of Captain America law. Even including “Bucky” his sidekick. 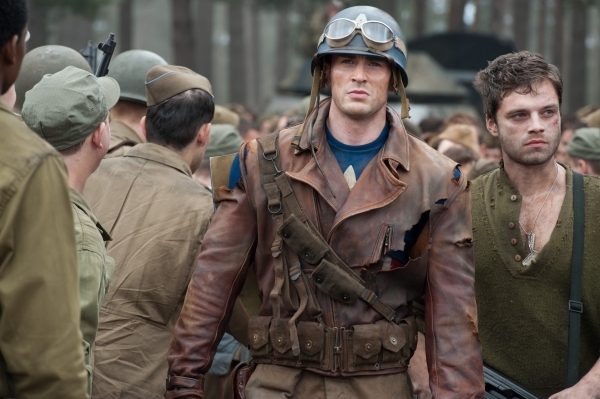 The uniform that Captain America sports goes through lots of iterations mirroring the transitions in the comic books through the ages. What is clear however is that this film is gearing up for the Avengers next year and in that respect it tries to push the cannons together. For instance Tony Starks (Iron Man) father is a key player in this film, being a genius, flying planes and womanizing whilst having a highball, the only thing he doesn’t do is put on an Iron suit and fly around. There are lots of little nods here and here to other superheroes including a passing Indiana Jones reference at the start which really made me like this film right out of the gates. The bottom line is that I liked this film a lot more than I thought I would, Hugo Weaving is brilliantly hammy as the Red Skull and clearly enjoying himself enormously, the much vaunted CG that show Steve Rodgers first as a tiny weakling for once doesn’t disappoint and is entirely convincing, Tommy Lee Jones is great as the exasperated but funny as hell Cornel, there’s action a plenty and the design of everything is great. The script is even good. For a superhero film this is very good indeed, it seemed that Thor got all the attention this year but it was Captain America that deserved the praise, you want an Indiana Jones style adventure? Forget the Kingdom of the Crystal Skull. This is where it’s at. The best thing on the Special Features is the Marvel One Shot: A Funny thing happened on the way to Thors Hammer a short starring Agent Coulson from Iron Man and Thor. Most of the rest of the stuff there is self congratulatory fluff about how good a job they did with the film and how amazing Hugo Weaving is. 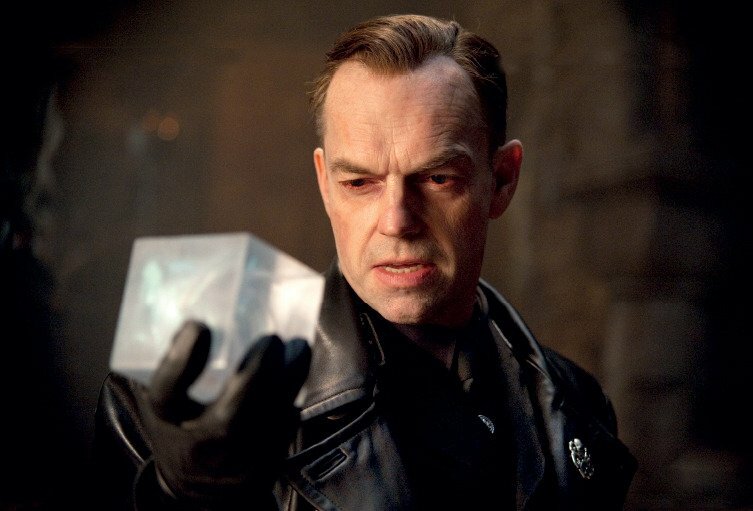 Some deleted scenes that don’t add up to much and a commentary with more about how great Hugo Weaving is. Video: As mentioned above, a little soft for a Blu-Ray and not up to the quality of sharpness that we are used to. Audio: Good 7.1 DTS HD audio but it is also really soft, I had to crank my amp really hard to get much sound out of it.